White Berry is slender and medium in appearance and smokes with a fruity berry taste. Fast FLowering and well suited for a sea of green. Looking for a special Sativa hybrid with balanced, cerebral effects? Check out White Candy, a tasty and tenacious cross with one foot in the Himalaya. Sensational Citrus Autoflower - 8 Weeks! 710's White Candy Auto is a total powerhouse wrapped up in a fast-paced, fully autoflowering seed. The flavour, the smell & the THC are, in a word, intense! White Widow X Chronic - Top Shelf, Baby! For Grade A results, you have to start off with Grade A cannabis seeds. And that's exactly what you'll get with White Chronic. She's fast, she's strong, & she's super sticky! Only Needs 50 to 55 Days to Get You There! White Citrus Auto - She's a Real Creep! And in this case, that's a good thing. This F4 version of Secret Citrus takes a minute or two to sneak up on you, but then it's on. 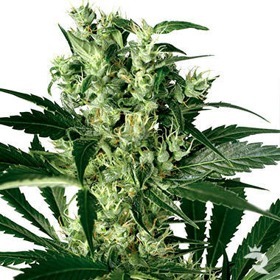 Be careful & take things slow with this wicked-good autoflowering dwarf. Mild Lemon/Orange Aroma on the Vine - Very Tempting! Beginner Friendly - 55 Day Finishes! First timers take note - White Critical is a premium indoor strain with amazing crystal content, gigantic yields, fast 55-day finishes & a low-maintenance attitude. It's a smart choice! 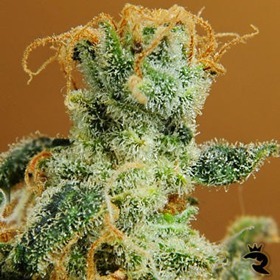 This particular hybrid incorporates the muscular bud development and unmistakable fruity taste of the original Diesel with an additional boost of trichome production and fruit flavors. This is a feminized Cannabis variety that was created by crossing a 2006 New York City Diesel (the mother of the V2.0) with a 2004 White Widow LWW (the mother of the famous White FYA). 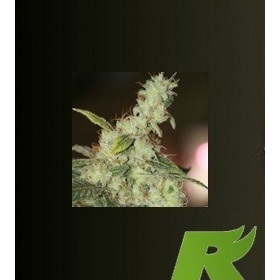 White Diesel is rich in cannabinoids (20% THC). Kannabia tested & refined White Domina CBD until this magnificent strain consistently reached the optimal 1:1 THC to CBD ratio for maximum medical benefits. 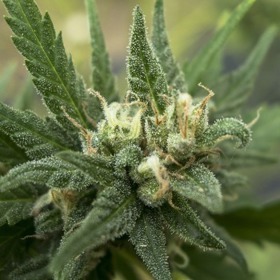 White Fya (White Fire) is the absolute top seller in Vulkania Seeds’ catalog and mainly comes from a different strain of White Widow that was discovered and preserved in 2004. 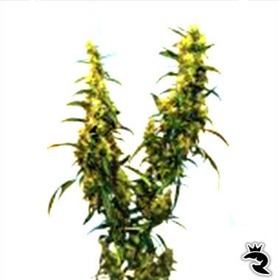 White Label Seeds considers their White Gold a very special breed of Cannabis. White Gold is a mostly-Indica hybrid that produces sweet syrupy resin and an excellent final yield. An Indoor Lavender for the Ages! This 100% feminized seed tames Original Lavender's out-of-control size & endless finish to give indoor collectors a viable option without compromising power or yield! SGS is back with a vengeance. By combining their high-volume OGRE with the delightfully frosty & dense White Citrus, they've created what may be the absolute best automatic hybrid on Earth. Check 'em out!